When it's time to move, you need a team to advertise your home, show to prospective buyers, negotiate the purchase contract, arrange financing, oversee the inspections, handle all necessary paperwork and supervise the closing. We can take care of everything you need, from start to close. Meet Team R & L! Ralph Larranaga is a third generation Santa Fean. Before working in Real Estate, he spent over 18 years in Interior Design and Custom Home Building. The experience and knowledge he has acquired over this time has proven to be extremely valuable to him and extends to his real estate clients. With his diverse background he is able to see property sales from multiple perspectives. Ralph is creative in his marketing of real estate and goes beyond expectations in getting recognition for his client’s properties. He and his team utilize Keller Williams’s cutting edge tools in print, video, and internet marketing, as well as industry standard phone prospecting and use of broker affiliations and relationships throughout the country, allowing him to brand and market his team and listings as appropriate. These methods have proven to be a great formula for his sellers to get the maximum exposure for their property leading to closed transactions. Ralph is committed to his clients and works diligently to see that their real estate objectives are met. In addition to his work, Ralph is also father to two wonderful boys and has served as President and board member of Open Hands, a non-profit dedicated to helping the elderly. 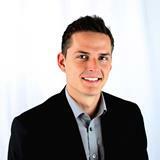 As a buyer’s specialist, Arthur brings a structured and professional approach to the real estate sales process. Through creative problem solving and client education, he creates an enjoyable home buying experience for everyone he works with. 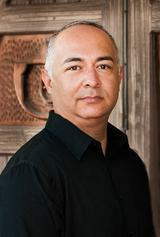 He is passionate about Santa Fe, and is an avid musician and social dancer.